This article, posted on the 28th June 2006, in the Herald discusses the inexorable global growth in the drug trade despite prohibition. The author, Daniel Donnelly, questions the effectiveness of current policy highlighting the fact that the UK has one of the harshest drug regimes and yet suffers from the worst levels of drug abuse. The author says that radical change and courage from the public and politicians is necessary for success. This video clip on the BBC search site shows Jonathan Ross interviewing David Cameron, the Tory leader. Towards the end of the clip Ross tries to persuade Cameron on the merits of legalizing drugs such as that of curbing the power of criminals. Cameron concedes only that a different approach to the drug problem such as more treatment would be an improvement in policy. This NIS News Bulletin, (http://www.nisnews.nl/public/210606_1.htm), reports that the European Justice Commissioner, Franco Frattini, has warned that the legalization of cannabis conflicts with EU rules. The Lower House majority of the Dutch parliament wants to take cannabis cultivation out of criminal hands and put it under state supervision. This article published on the 18th June 2006 from the Scotland on Sunday (http://scotlandonsunday.scotsman.com/index.cfm?id=892852006) reports on remarks made by Tom Wood, a former deputy chief constable. 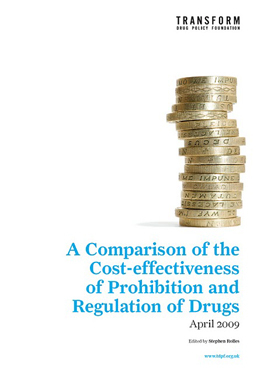 Wood has stated that enforcement should no longer be the number one priority but should be placed behind education and deterrence in the war on drugs which he described as "long lost". This article from the Vancouver Sun, published on 8 June 2006 (http://www.canada.com/vancouversun...bdfa39) shows that liberal approaches to currently illegal drugs lead to harm reduction amongst users. In this case Vancouver's safe injection sites have led to more users seeking detox. This article, published on 8 June 2006 in the Times at http://www.timesonline.co.uk/article/0,,6-2215682,00.html examines how Western attempts to eradicate opium poppy production is causing increasingly desperate farmers to switch allegiance to the Taleban. Attempts to grow other crops have proven futile since the opium poppy is one of a very few that can survive the arid landscape and be profitable. The Western policy is extremely counter-productive. Not only are Afghans turning to the Taleban but attempts at eradicating the poppy have simply resulted in a flourishing of corruption where policemen charged with destroying the crops simply accept bribes. The situation is devasting for the Afghan people and for the troops deployed. The article concludes that Afghanistan would be much better off if the opium poppy could be cultivated legally to provide the morphine and codeine supplies which are absurdly in a global supply shortage. In this article by the health editor, Jeremy Laurance, in the Independent published on 2nd of June 2006 the approach of Zurich authorities in liberalizing drug laws is commended. The number of new users of heroin in Zurich has dropped a stunning 82%. This article from 2 June 2006 and published in the Scotsman opinion section (http://news.scotsman.com/opinion.cfm?id=816152006) declares the post-war prohibition of drugs to be a failure for all but the drug barons. The article suggests wresting control of the drug empire from criminals and ensuring a cleaner, safer supply of drugs. 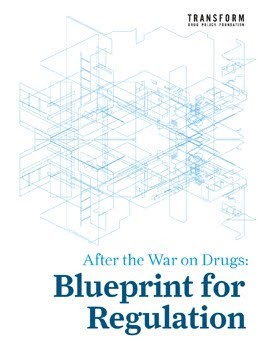 The authors concede that it would be naive to expect demand for drugs to vanish but propose that cutting the criminals out of the supply chain would reduce demand. The authors wonder if there is any other solution to the devastation wreaked on Scotland by the prohibition of drugs. According to this article, posted on the 1 June 2006 in the Scotsman (http://news.scotsman.com/politics.cfm?id=808472006), Ben Elton has spoken in the Scottish Parliament for the need to end prohibition. According to Elton the law "is effectively the number one sponsor of organized crime".